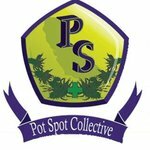 Pot Spot Collective aims at creating a dispensary that will be focused on the overall well-being of its patients – combining extensive experience and expertise with care and compassion, the collective wants to create a welcoming atmosphere accompanied by unparalleled customer services so that every patient could feel special. The dispensary has a team of expert budtenders who are supposed to guide the patients through the variety of products and help them find the right marijuana medication to match their needs. Every day the dispensary and its workers see how the lives of its patients change thanks to the Pot Spot Collective. The company is strongly committed to continually helping Los Angeles patients gain access to their medicines and improve their wellness. To help patients afford more medications, the company has introduced some special offers to both regular and first-time patients – check out the promotions before making an order.